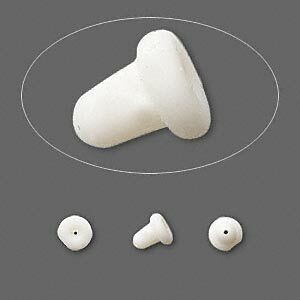 12 each of 4 styles/sizes of rubber earnuts together in a variety pack (48 total, enough for 24 pairs of earrings). 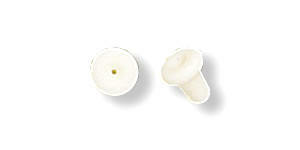 The soft rubber of these earnuts will cushion the ear. Hypo-allergenic. 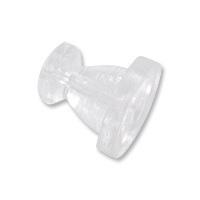 Clear 6x5mm silicone plastic barrel-shaped earnuts for the back of post earrings. Comfortable and hypo-allergenic. 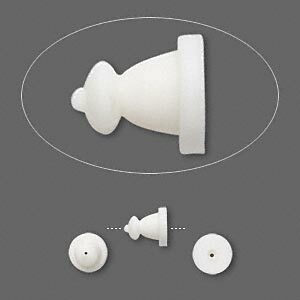 Do you need some big earring backs? Well, here they are. These sterling silver (gold-filled also available) butterfly nut earring backs are approx. 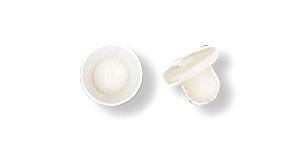 10mm round (3/8"). They are light-weight - not too heavy on the earlobe. 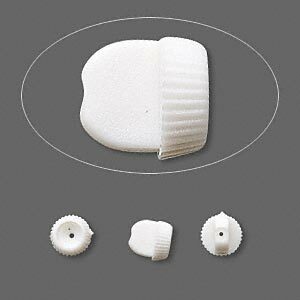 They are easier to handle for arthritic or child hands. 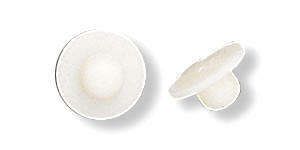 Sold in a set of 2 (1 pair). Email JewelryByRhonda.com for availability and price. One pair of sterling silver 6mm butterfly support earnuts for heavy pierced earrings. 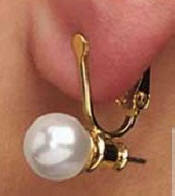 This pair of earring backs has an added support wire (one piece). 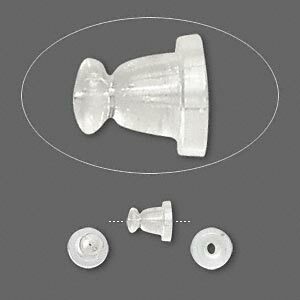 Sterling silver 5mm butterfly earnut earring backs. Easy to use! 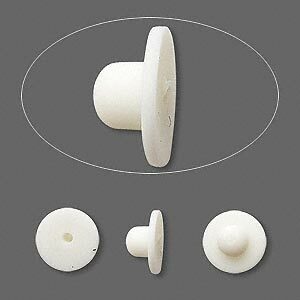 You do not have to break the original pierced earring. 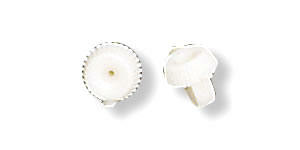 These pierced earring converters will transform any pair of post pierced earrings into non-pierced clip-on earrings. 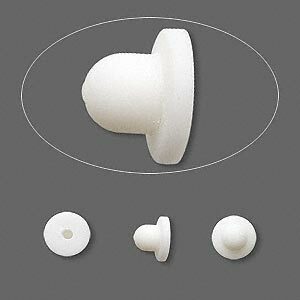 All you have to do is just slip the post earrings into the bottom part (it looks like an earring back) and you will have instant clip-on earrings. Each earring converter is approx. 3/4" long x 1/4" wide.